Flight is NH0204 FRA-HND in Eco+ (E). Should be possible. See below screenprints, I get to the second step (availability seems ok), then error message 564. Any idea how to proceed? TK ticket office? Startalliance Callcenter? After contacting TK on the callcenter, sales office (personal and email), Twitter and feedback form, I was being directed to the respective other channels every time until I looped back and they told me that they cannot help me. The sales office was the most competent contact, but said that they could not do a *A upgrade award booking due to a new system being in place. --Based on your request, we would like to inform you that we are currently developing our Miles and Smiles system.For this reason, we are unable to book or issue any award tickets with the flights of Star Alliance Member Airlines within Miles and Smiles award miles. This interruption is experienced in all our sales channels.We would like to express our sincere apologies for this inconvenience. We hope you to accept this experience as an exception and welcome you on our future flights. Thank you for your understanding. So, whether they have no clue how to do this, or really cannot, who knows. It has been over a month and a half now with no Star awards using TK miles? How is this possible? And there is no solution in sight. Are they even a part of Star alliance at this point? How incapable are they? All rhetorical questions but it’s truly outrageous. You can book *A award with TK miles. Just be lucky to get a capable agent. I assume TK allow award holds - since you have to show up in person to ticket. How long will they hold *A awards for? Will they put an award on hold if you do not have the required miles yet (waiting for transfer)? They held it for 4-5 days for me which gave me time to transfer miles across too. It depends from the involved airline(s). I had two reservations wit 3 days on hold and another one with 25 days on hold. Fun fact is that the routing/flights/carriers were exactly the same. I believe the thread is quite rich in information on which offices have capable agents. Of course, UA / AC might be non-issuable as discussed. But you certainly can issue a *A award with M&S miles. That's a fact, not a guess. I was told the same. They can book it, but they cannot ticket it - although it is not completely clear wether they cannot issue tickets at all (which is odd) or they cannot deduct the miles (which is stupid but more likely). asnovici and tmj143 like this. Also multiple inquiries to when Star ticketing will be fixed were all responded with uncertainty. Incredible incompetency of TK IT and complete lack of willingness from executive management to fix this. How is Star allowing this to continue and TK call itself a Star member is mind boggling. tmj143 and divB like this. Has anyone been able to solve this? I've sent several claims to TK and no clear answer so far. My miles expire TODAY and I'm not able to get a ticket! I am in the same shoes. I just wasted 3 hours to go the sales office at the airport and still no luck. Miles and Smiles is such a scam and I'd love to sue them for these business practices. 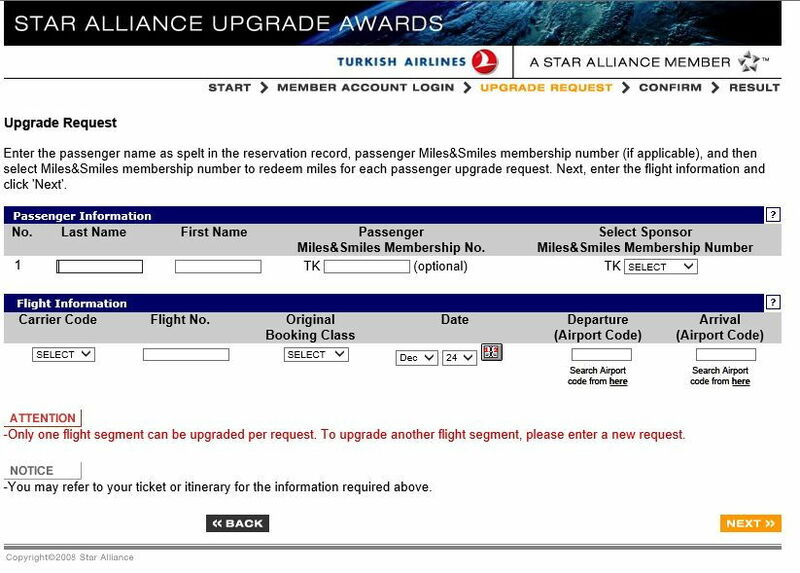 They should immideately remove the information about Star Alliance award bookings. Called TK in a last ditch effort to book an award ticket or have them extend the mileage expiry date. No luck. Their system issues continue and they are unwilling/unable to extend the expiry date. I was transferred to three separate agents to try to sort things out but no one was willing to actually deal with the issue.